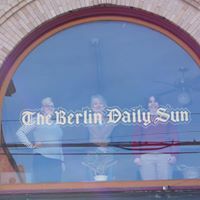 We recently cleaned the offices over at the Berlin Daily Sun, Berlin, NH. The staff and writers were very happy with our work, and they decided to do a story on us. I was asked to write something up on their behalf, but not being a newspaper reporter, I wrote 250 words in the first person. Apparently first person is a big boo-boo in the newspaper business. I decided to post what I wrote in a recent blog. It's actually in praise of the city of Berlin. Feel free to give it a read, and I'll be sure to post here when the Sun's article hits the streets.